...they'll need to get healthier and rearrange the roster somewhat with the added talent. 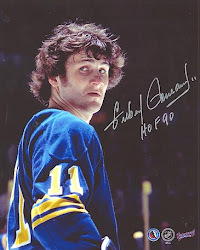 After yesterday's loss to the San Jose' Sharks, the first time the Buffalo Sabres had lost to them in regulation since December, 2005, the first inclination was that this team needs to be shaken up. Usually when the words "shaken up" are uttered that means a coaching change or significant trade of some sort. For those clamoring for coach Phil Housley's dismissal. Save it. I highly doubt that's even begun to enter the thought process of GM Jason Botterill and the powers that be at the foot of Washington St. Housley won't be dismissed anytime soon nor should he be. Sure, the team is 3-7-2 right now, but the door that leads to a breakout from this rough start has been a tough one to kick down and as bad as it looks right now, progress has been made. It's easy to look at the games against the NY Islanders, New Jersey Devils and Vancouver Canucks as outright stinkers worthy of a tank-era team. However, Buffalo has been pulling it together over the last couple of weeks (sans the 'Nucks game) and have been making great strides in certain areas, most notably their puck movement and breakouts. Buffalo's transition game has made great strides compared to the last two seasons. A lot of it has to do with personnel on the back end as there are better skaters and puck handlers out there on a nightly basis. But we also shouldn't discount how Housley has his forward group focusing on multi-player support for the defenseman. I didn't see a lot of that last season as the stretch-pass seemed to be the style du jour. The forwards coming back into the defensive zone in support has meant many more options for the defensemen and once that puck gets into the hands of a forward, the break begins and support continues into the opposition zone. Whereas the stretch pass offered an opportunity for a homerun, this style allows for short, quick passes to begin the rush with the weak side defenseman ready to join the rush. Other than poor puck handling and puck management, the only time this breaks down is when players, mostly forwards, are cheating up ice. We've seen plenty of that this season, mostly when they're playing catchup, which has been way more often than not. On-ice play has gotten better for this team as the players have gotten more accustomed to what's expected but there are still areas which keep the Sabres from taking a big step forward in the win column. After the game yesterday Housley was asked about what he thought about his team overall and the coach responded by saying, "It's easy to get negative on our guys because of our record," before backing his players. "We all [expected more]" said Housley. "If you look at our effort, if you look at the way we played the game [today], I have to give our guys a lot of credit. They did everything today but win. "I thought our guys played very hard, competed. We out-chanced them. Could we have scored more goals? Could we have gotten in front of the net a little bit more? Yes. But, I can't erase the effort our guys brought today. It's unfortunate we lost, but if we continue to work that way, we're going to get our results." This team is beginning to come together and although effort is good, and seeing compete is even better, more talent will help them bust down that door. 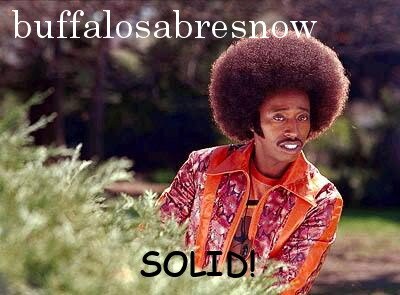 As of today the Sabres have a nearly complete forward group. Forward Evan Rodrigues had a great camp and it looked as if he would be on the opening night roster. He suffered a broken hand and has yet to play this season. Fourth line center Jacob Josefson was really beginning to hit his stride before suffering a lower body injury six games into the season. He was placed on injured reserve October 17. The Sabres have a bona fide top line this year with Jack Eichel centering Evander Kane and Jason Pominville. All three are tied for the team lead with 12 points in 12 games and only six of their combined 36 points have come on the powerplay. Kane and Pominville lead the Sabres with six goals each while Eichel leads the team with eight assists. Buffalo's second line has two legit top-six players in center Ryan O'Reilly and right wing Kyle Okposo but both got off to extremely slow starts. O'Reilly has kicked it in gear with six points (4+2) since scoring his first goal six games ago on October 17. Three of O'Reilly's four goals have come on the powerplay. Okposo, however, has yet to break out of his slump with only two assists in 10 games thus far. On O'Reilly's left wing is Benoit Pouliot, another player that got off to an extremely slow start. Pouliot has began to get things rolling a bit with two goals in his last four games. Prior to that he was good for only one point (an assist) in his previous eight games. Those were the top two lines that the Sabres used against a veteran San Jose' team yesterday afternoon and the Sharks placed plenty of their focus, as well as their best players, on those two lines. One of the biggest problems facing the Sabres up front other than slow starts and the continued slump from Okposo, is lack of secondary scoring from the bottom six. Yesterday Housley had Sam Reinhart centering the third line between Zemgus Girgensons and rookie Justin Bailey while Johan Larsson centered Jordan Nolan and Seth Griffith on the fourth line. Those six have combined for a total of seven goals and 16 points through 60 total games played. Contrast that to the bottom-six the Columbus Blue Jackets iced against Buffalo on Wednesday. Sonny Milano, Matt Calvert, Zac Daple, Alexander Wennberg, Pierre Luc-Dubois and Oliver Bjorkstrand have combined for 12 goals and 26 points through 64 total games played. Milano leads the team with five goals while Wennberg is second on the team in assists with seven and fourth in points with eight. Having Rodrigues in the lineup along with Josefson may or may not make much of a difference in the scoring department, but it would add a little more talent to Buffalo's forward group while also allowing the lines to be set differently. Housley began the year with Reinhart at center despite the 22 yr. old's success the last two seasons playing wing in the top-six. Reinhart was moved to wing for a bit, on the third line, but once Josefson went down he was shifted back to center. He has two goals and two assists on the season after averaging 20 goals over his first two seasons. Those four points, lead the bottom-six in scoring. Reinhart does not look comfortable at center yet and may never be an NHL center. Plus he could use more talent around him which seemed to bring out the innate talent within him. Nothing against Girgensons and Bailey, but they're not Eichel or Kane. Having Rodrigues and Josefson back in the lineup would mean an upgrade in talent, not a great upgrade, albeit, but every little bit helps. Right now the top line is carrying the load with a little help from Ryan O'Reilly and the powerplay. Shut them down and the Sabres are in for a rough night. Although the Sabres have themselves a real nice top-pairing in Rasmus Ristolainen and Marco Scandella, they're really getting crushed by injuries on the other pairings. Again. Two of their projected top-seven defensemen have yet to play a game this season. Zach Bogosian was lost to a lower body injury and is still on IR while Justin Falk has resumed practicing and may be available on the Sabres two-game road trip this Thursday and Saturday. Bogosian was expected to be in the top four and many projected much better results from him in Housley's new system. Falk had played his way into the Sabre lineup last season and continued to impress during camp. He figures to be a bottom-pairing d-man at best but it's a role he's comfortable with and one in which he and the team can succeed. Having those two out opened the door for rookie Victor Antipin to get some extended playing time and journeyman Matt Tennyson to skate on a regular pairing, mostly the second, while also being on the ice in all situations. Antipin struggled early and the call went to veteran Josh Gorges to help straighten things out on defense. It worked until he was felled by a lower body injury and was placed on IR after only four games. Housley leaned heavily on the top four in that game with none playing under 20 minutes. The duo of McCabe and Tennyson were a combined minus-three and were on the ice for the Sharks' game-winner. Having one of Tennyson and now Redmond in the lineup since Fedun was sent to Rochester doesn't bode well for the defense as a whole and although Tennyson has done a fairly good job of holding his own, although he's had some mistakes that turned costly. Once again the return of Falk and Bogosian represents would represent an upgrade in talent. It's not to say that adding Rodrigues, Josefson, Bogosian and Falk would instantly turn the Sabres into a contender, but those four players represent more talent and quality experience than the four players they'd replace in the lineup. Housley's right in that his players have been playing much better and his system is also beginning to really take hold. Scoring is still a problem as certain players are gripping their sticks too tight while others may not have the talent to score at the NHL level. Having players come in that can score in the NHL will help that. He also said they were done-in by a couple of mistakes against the Sharks, which is also true. Some players will always make certain mistakes at the NHL-level, that's why most of their careers have been spent in the minors. They can and will be replaced, hopefully by players who make less mistakes. It's no fun being the fan of a 3-7-2 team, especially in Buffalo after going through two tank years and two seasons of futility, not to mention being on their second GM and coach since Eichel was drafted in 2015. At this point Housley has what he has to work with and the only influx of talent he can really expect is from players returning from injury. It may not be enough, but it will help.